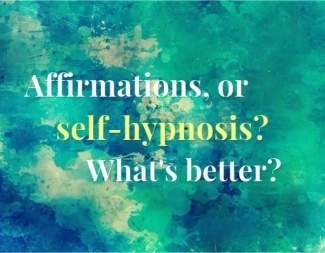 How do self-hypnosis and affirmations compare? How can you make affirmations work more quickly? What is a common mistake people make when doing self-hypnosis? How to use self-hypnosis for relieving anxiety and attaining peak performance. Self-hypnosis is one of the most effective ways to relieve anxiety and focus on your goals. How did I use it to overcome anxiety before a national television appearance? A simple method for Teaching Self-Hypnosis to the people you hypnotize.